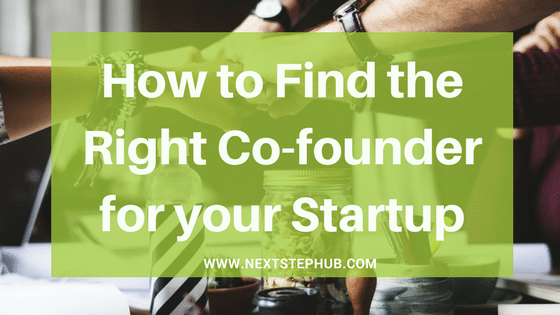 Finding a startup co-founder can be a challenge. You need to find someone has the heart, the dedication, and of course, the skills. But sometimes, your skills alone aren’t enough. When this kind of problem arises, one of the solutions you can consider is to find a startup co-founder. The right partner can bring a huge difference to your startup. Your startup co-founder’s ideas can give your company an edge. His experiences can teach you how to cope with challenges. Having a startup co-founder you can count on is amazing. But the hunt for that kickass co-founder is not as easy. Getting one is more than reading a resume. Think of it this way, a startup co-founder is like your spouse, and your child is the startup. If you settle with the wrong one, the child will suffer. So what traits should you look for in a startup co-founder? Sure we’ve all got something we’re good at. But there’s always going to be someone who does it better. When looking for a business partner, it is important to choose someone who can fill the holes of skills we lack. Your strengths should complement his weaknesses, and vice versa. Let’s take Steve Jobs and Steve Wozniak as an example. Wozniak was good in building computers, but the idea of selling them didn’t occur to him. Jobs saw the potential of Wozniak’s works and helped him sell. This strategy is often called “one builds, one sells. and this complementary approach is usually perfect for startups. Having similar interests with your startup co-founder can do wonders to your business. Ben Cohen and Jerry Greenfield, the pair behind Ben & Jerry’s, owes their success to their passion for food. The two took a course in ice-cream making and decided to open their first ice cream shop. When you have the same passion, the motivation will come naturally. Both of you will hustle to achieve a common goal. If his goal is different from yours, the company won’t have a clear direction and success won’t be possible. Learning is a continuous cycle. It doesn’t stop, especially in the business world. There’s always something new to learn almost every day. Technology evolves fast and the needs of the consumers change. Your co-founder shouldn’t be stagnant and contented with what he knows. He must be open to new information and eager to grow. Startup life is mentally and emotionally exhausting. It will test your patience, your temper, and even your self-confidence. You should look for a startup co-founder who can manage his emotions and stay calm despite the struggles. Honesty is like the golden rule not just in business, but in life. Lack of transparency within the team is often the reason why a business crumbles. Now that you have a checklist of the traits to look for, it’s time to know how you can find that right co-founder. Take a good look at your business weaknesses and strengths. Where are you good at? In what field do you lack knowledge? Identify them all. This will help you find the person who can bring the missing skills on the table. Now that you know who you’re looking for, the next question is where to find them. You can start with your personal connections. Is there a relative or a close friend that has the potential to be your partner? Talk to them and tell them about your startup business plan. If you can’t find anyone within your personal network, try your second-degree connections. Another way is to attend seminars and entrepreneur forums. You might meet a potential co-founder in this kind of events. When you found a potential partner, it’s vital to get to know him first before letting him co-navigate the ship. Some call this “co-founder dating.” Invite him for a lunch out and connect with each other. Learn about his interests, his passion, and his skills. Remember, your co-founder will be your constant companion, so it’s important to pick a partner that you genuinely like. There should be chemistry. If you will only consider a person’s skills and not his character, it can bring conflict in the future. Let’s say you already made a decision and picked a co-founder. The next thing you should do is to discuss the roles and responsibilities. Clarify his job description, your goals, and your vision. It is also advisable to put these agreements into writing. Like what I mentioned earlier, your co-founder is like your spouse. And just like in marriage, your relationship with your co-founder needs maintenance. Here are some tips to make sure your partnership stays on the right track. Communicate regularly. It’s not a mystery why this is important. Communication is always the key. 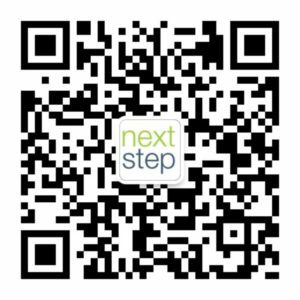 Check in with each other frequently to share updates, losses, and obstacles. Define each other’s’ tasks. This will make you both accountable to yourselves. Take note of each other’s strengths. Then discuss how you can apply them to your business. Don’t keep your partner in the dark. Always inform him about your next move. Handle disagreements and frustrations early. Disagreements happen in all kinds of relationship. It’s normal. Keep in mind that unresolved issues, no matter how small, can damage a partnership. No man is an island, and there are things we can’t accomplish alone. A great partnership can lead to a lifetime friendship, and it’s one of the biggest rewards you can get aside from a booming business.